After months of intensifying speculation and repeated hints, Joe Biden has finally announced he is not running for president. The public has practically fallen off their seats waiting for this official news, and can now finally sit back and exhale. Just as America has been anticipating Biden's decision, so have the 2016 presidential candidates ― a few of them in particular. Even though their campaigns are well underway, a Biden bid has always loomed over the Democratic contenders, threatening to shake things up. Now that Biden's finally made up his mind, the people who are running — like Bernie Sanders — have much to say about how announcement. Sanders was one of the first to weigh in on the news, Tweeting: "I thank @VP for his continued service to the nation and his support of the middle class. I also commend @VP's outlining of an agenda weigh make college free, fight economic inequality, close tax loopholes & protect dignity for all." Clever, Bernie. Not only does this add to Sanders' "nice guy" image — which the self-described Democratic socialist solidified when he stuck up for Hillary Clinton and her emails during the first Democratic debate of the season — it also furthers his own agenda. Which is to — you guessed it — make college free, fight economic inequality, and close tax loopholes! Biden's decision comes after multiple reports inaccurately predicted that he would announce his campaign this week. Fox News' White House correspondent Ed Henry, among myriad others, said three separate sources had confirmed Biden's run to him, while MSNBC projected Monday that an announcement would come within 48 hours. 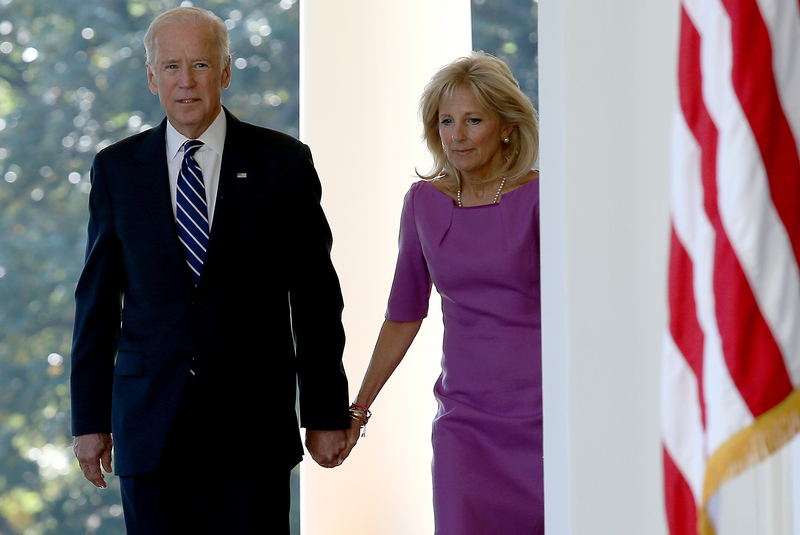 Rep. Brendan Boyle and CNN's Dana Bash also tweeted that they had been told that Biden would definitely run. These reports were just the latest in a long series of predictions that have been published this year, many of which falsely predicted timeframes for Biden's bid (hey, he's never been one to do the expected). Vice President Joe Biden is a very good and decent man who has served our country nobly, and his experience would have been a welcome addition to the Democratic race. I will always admire his strength in the face of adversity and his passion for bettering our country. I respect Vice President Biden's decision today and wish the Vice President and his family well. Now it looks like that sixth podium will remain empty. Maybe give it to Lawrence Lessig ...?